(FinalCall.com) - A prisoner who accused officials of violating his religious rights by banning copies of The Final Call and lectures by the Honorable Minister Louis Farrakhan on DVD has scored a victory for inmates in the entire state after reaching a settlement with the Virginia Department of Corrections. Red Onion State Prison inmate Kelvin Brown sued after numerous editions of The Final Call were banned beginning in January 2009. At the time, access to DVDs, books and other materials from the Nation of Islam were severely restricted as well. In the reported settlement, inmates within the Virginia state prison system would be allowed to receive the previously banned issues of The Final Call and if others were banned in the future, a reason would have to be given. Additionally, DVDs from the Nation of Islam, including lectures by Minister Farrakhan, must be shown on a regular schedule similar to that which is currently done for Christian-themed broadcasting at the prison. Books pamphlets and other materials are to be allowed in as well. According to Mr. Muhammad, there are a combined 17 correctional facilities at the federal, state and municipal level that he and members of the prison ministry staff visit regularly. Starting in 2008, Mr. Muhammad said the correctional facilities began a severe crackdown on literature and DVDs from the Nation of Islam. During previous visits, Mr. Muhammad would bring copies of The Final Call with him to distribute to the inmates, however, he was stopped from doing that. At Red Onion, Mr. Muhammad estimates that there are approximately 12 followers of the Teachings of the Honorable Elijah Muhammad housed there. During regular written correspondence and during some of his visits, Mr. Muhammad said inmates would describe their anger and frustration with not being allowed receive The Final Call and were never given a reason by prison officials. It is widely known that state and federal correctional facilities have policies which ban materials that promote violence or may cause threats to safety, however, there was never any actual response given to their queries. They began to complain to anyone that would listen, then, earlier in the spring, The Final Call reported on a ruling by U.S. District Judge Donald Walter in Shreveport, La., restoring rights to The Final Call for an inmate being denied the paper in the David Wade Correctional Center in Louisiana. After reading of the victory in that case, the brothers saw an effective strategy that could be pursued. They were encouraged to begin filing lawsuits, and they did. 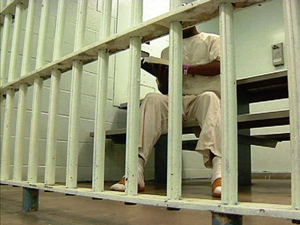 The National Prison Reform Ministry of the Nation of Islam under the direction of Student Minister Abdullah Muhammad, regularly receives letters of complaint from incarcerated brothers nationwide fighting for access to literature, DVDs and other liturgical items as they strive to maintain their way of devotion while behind bars. In Virginia, the Nation of Islam's Prison Reform Ministry is very active. Even though Red Onion is located almost 6 hours away from Muhammad Mosque No. 24, during the entire struggle, Muhammad Mosque No. 24 held fundraisers and went door to door asking business owners, and residents to donate to a fund that would allow more materials and DVDs to be purchased for use by brothers serviced by the Nation of Islam in the prisons. The Virginia Department of Corrections has been criticized by watchdog groups for their treatment of inmates and ordered to review and in some cases revise some of their policies. • A report released in October by the National Women's Law Center and the Rebecca Project for Human Rights gave Virginia failing grades regarding their treatment of mothers in prison. • On Nov. 17 over 30 inmates, many of whom were Rastafarians previously held in isolation for refusing to cut their hair because of their religious beliefs, were transferred to another prison where they could remain together. • Two months ago, the state settled a case involving a ban on issues of Prison Legal News, a magazine that deals with the rights of the incarcerated and issues related to criminal justice. “This problem will not be solved until the Department of Corrections fully realizes that it has no right to impose political or religious orthodoxy,” Atty. Fogel told The Associated Press.